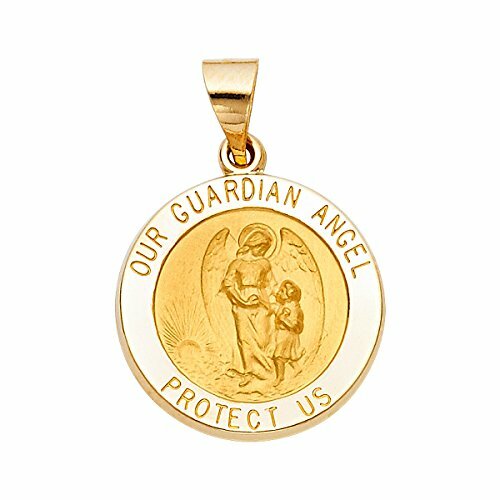 TGDJ 14k Yellow Gold Religious Our Guardian Angel Pendant by Top Gold & Diamond Jewelry at Blood of The Young. MPN: PT1247. Hurry! Limited time offer. Offer valid only while supplies last. Metal Type: Yellow Gold, "14K" Stamped. If you have any questions about this product by Top Gold & Diamond Jewelry, contact us by completing and submitting the form below. If you are looking for a specif part number, please include it with your message. 18 Karat Solid Yellow Gold Figaro Link Chain Necklace - 3+1 Link - Made In Italy- 20"